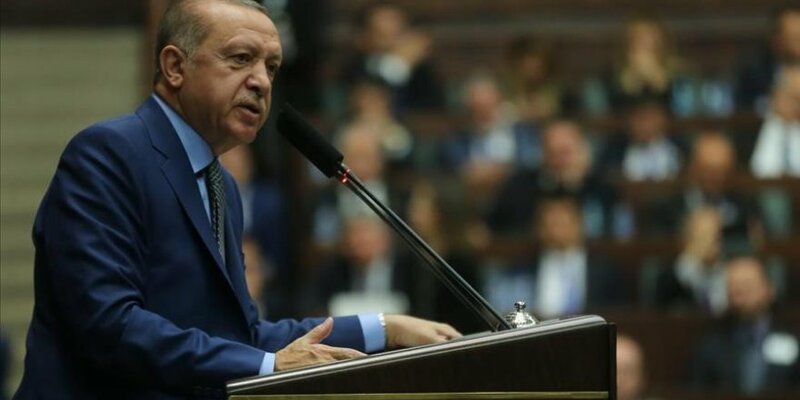 President Recep Tayyip Erdogan said on Tuesday that they have finished preparations for operations on the eastern side of Euphrates River. "We will trample on terror groups with more effective operations," Erdogan told his Justice and Development Party's parliamentary group. He said that Turkey would bring down all terror nests on the eastern side of Euphrates. "We have finished all our preparations, plans, program regarding the issue," he added. He said that Turkey cannot "look to the future with confidence without solving the Syrian issue". The powers using terror groups as tools to reach their goals are trying to revive Daesh in Syria, Erdogan said. He said that Turkey would never allow them to drag Syria into chaos by inciting the regime or reviving Daesh in the region. "Neither people in the region nor the world believe in the Daesh game," said Erdogan. Responding to reporters' questions after the meeting, Erdogan said that the murder of slain journalist Jamal Khashoggi needed to be solved. "There is [...] no sense to try to protect the culprits," said Erdogan. Erdogan added that they would not turn a blind eye to the Khashoggi case. After weeks of denying any knowledge of his whereabouts, on Oct. 19 Saudi officials admitted that the journalist had died inside the consulate building.